Earn $22.00 in Rewards credit (2200 points) What's This? 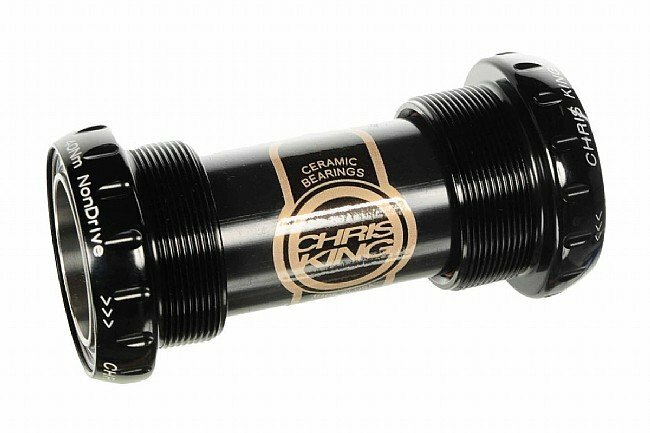 Chris King's legendary in-house fabrication makes for a bottom bracket that's smoother and more durable than anything else on the market. They manufacture their own ceramic sealed bearings which allows them to place more rolling elements per bearing for a stronger design and exceptional quality. 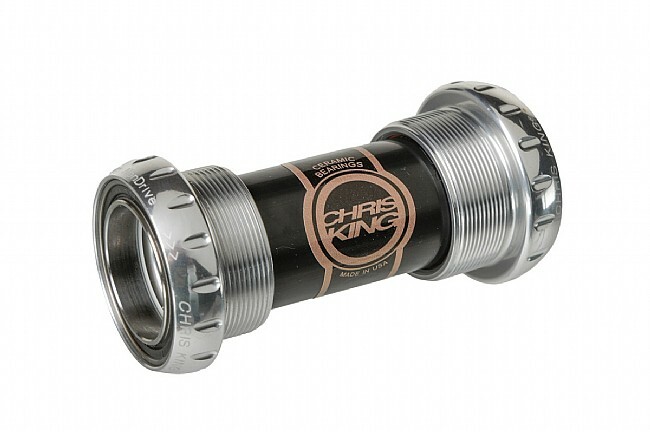 This 24 mm Ceramic ThreadFit Bottom Bracket fits English threaded frames of various shell widths for the road and mountain and will fit 24 mm spindles and 24-22 mm step-down cranks but may require use of a Chris King Bottom Bracket Conversion Kit depending on your specific setup. Available in multiple colors. 5-year warranty. Claimed weight is 85.02 g.